A city that remained relatively obscure until the 1800s, Shanghai initially came to international prominence as a result of its favourable geographical locale. South of the Changjiang River Estuary, bordered by the westerly coastal provinces of Jiangsu and Zhejiang, the city was (for much of the 20th century) able to exploit inland China’s vast agricultural resources whilst maintaining favourable trade links with the European powers. Today, commentators invariably describe it as an “international commercial centre”, “the world’s largest container port” and “the economic showpiece of modern China” — platitudes that miss many of the qualities which make Shanghai a satisfying travel destination. Beyond the awe-inspiring (albeit sterile) Lujiazui skyline and the faux-Deco spectacle of The Bund, China’s most populous city offers a dramatic snapshot of a nation in flux: ramshackle longdang — quintessential residential communities centred around interconnected laneways — endure alongside achingly trendy hotels; while urban sanctuaries offer a welcome respite from the eclectic eateries that populate every district on the city’s West Bank. Pictured: Interiors of the meticulously restored Rong Zhai Villa, a neo-classical structure that’s now home to an ever-changing array of Prada art exhibitions and pop-ups. Admittedly, Shanghai’s true charm sits just beneath the surface; and to discover all that is distinctive about it is to occasionally invite frustration. Irregular transportation infrastructure (especially when compared to Hong Kong) coupled with moderate English proficiency may be enough to deter casual travellers from exploring, but don’t worry — for those in search of a luxury getaway that espouses character and history, we’ve compiled our ultimate recommendations for how you might spend 72 hours in the Paris of the East. Conventional wisdom posits that, whatever you do, you shouldn’t travel to China in October. However, as local holidaymakers increasingly turn their eyes abroad (particularly for Golden Week), early fall is a surprisingly viable time to visit the mainland. Temperatures average between 15-22 degrees celsius, while the onset of this traditionally chillier weather also heralds the arrival of the coveted hairy crab season. Unsurprisingly, the pervasive influence of smartphones can be felt most keenly in cities like Shanghai; and for ease of dining, transportation and sightseeing, it’s vital you have the corresponding apps on your mobile device. At a bare minimum, WeChat— colloquially known as China’s “super app”, with over 1 billion monthly users — can perform a staggering number of functions, ranging from instant messaging to venue or restaurant reservations. 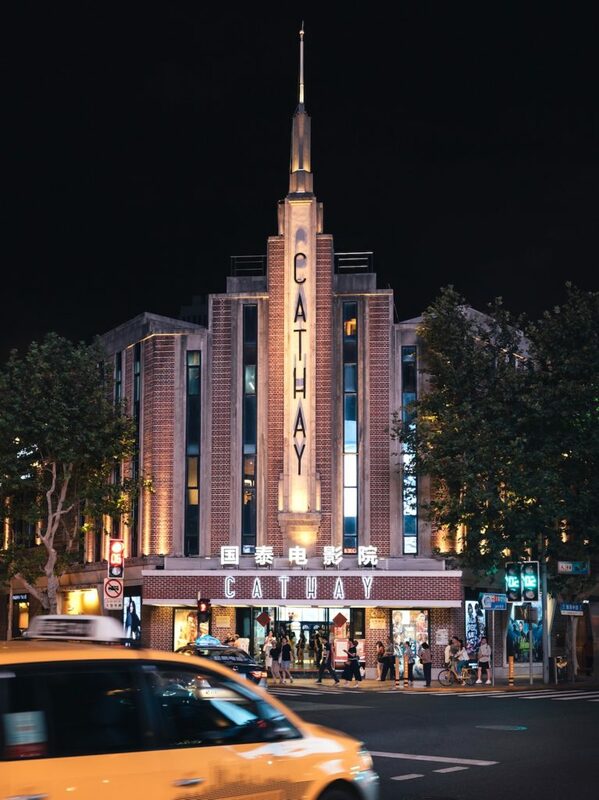 Notable architectural sites like The Cathay Theatre (pictured) are accessible by public transport, but navigating Shanghai’s urban landscape via DiDi is the fastest and most comfortable way to get around. Meanwhile, when it comes to ride-sharing services in China, DiDiis the preferred provider. The company’s mobile app has improved significantly since 2017; and now features English language capability and the option to pay using a variety of international credit cards. Finally, in the event that you have banking cards issued by a mainland Chinese financial institution, take advantage of third-party online payment platforms like Alipay. Used by every conceivable mainland merchant — from Taobao to Starbucks — integrating Alipay into your wallet will make cashless payments throughout every major Chinese city a breeze. 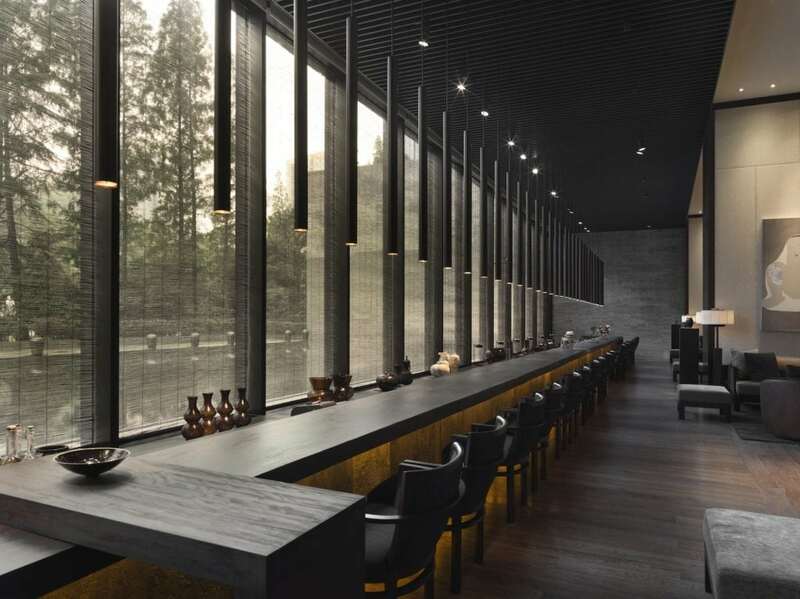 Located just off of picturesque Nanjing West Road, The PuLi remains the first (and best) property from China-focused hotelier Urban Resort Concepts. When it comes to accommodation, Shanghai is a city that is teeming with variety (you can view seven of our more recent favourite hotels here). Survey the Bladerunner-esque lights of Pudong for even a moment, and you’ll be assailed by the familiar iconography of umpteenth international hotel chains; but unless business compels you to stay in the CBD, we’re of the strong belief there are more interesting check-ins west of the Huangpu River. For a discrete and tranquil stay, look no further than The PuLi— the inaugural property from Urban Resort Concepts. Cleverly hidden in the middle of Jingan, the mere act of arriving at The PuLi can prove satisfying: a screen of bamboo greenery flanks your approach; and the hotel’s entryway (onyx tiles bathed in the sound of trickling water) spirits you to a hidden oasis where the clatter of the encroaching city seems a distant memory. 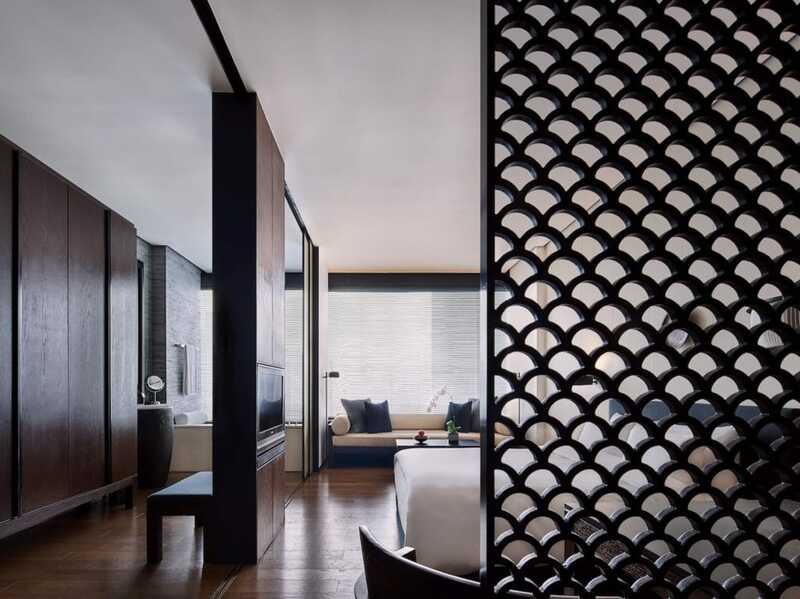 At The PuLi Hotel & Spa, all 229 gently appointed rooms feature a bathtub, complimentary minibar (restocked daily) and silk screen partitioning. From its collection of 193 rooms and 36 suites through to the 32-metre Long Bar— which doubles up as the hotel’s relaxed yet efficient reception — The PuLi’s reigning aesthetic can handily be described as “theatric minimalism”. 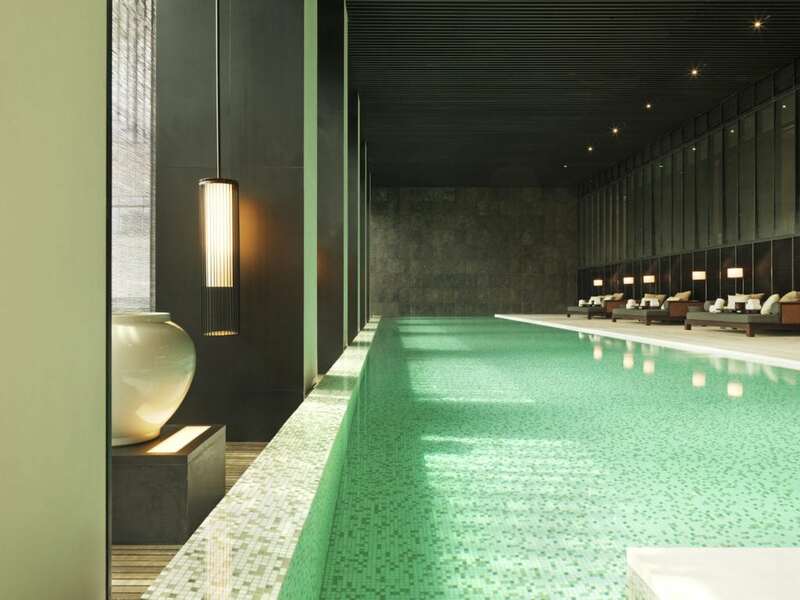 Ink wash paintings and rosewood furniture — much of it painstakingly sourced from the Panjiayuan vintage market in Beijing — punctuate the otherwise starkly modern communal spaces; while the property’s indoor pool and Michelin-starred eaterycommand expansive views of Jingan Park. 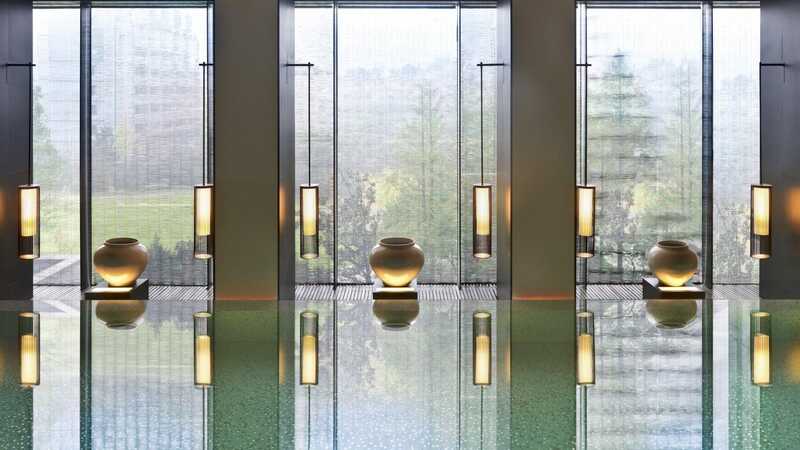 The PuLi doesn’t lack for set pieces when it comes to interior design, but one of the most memorable is undoubtedly its 25-metre infinity pool, commanding verdant views of adjacent Jingan Park. By and large, The PuLi’s staff boast service equal to the task of complementing their stylish surroundings. 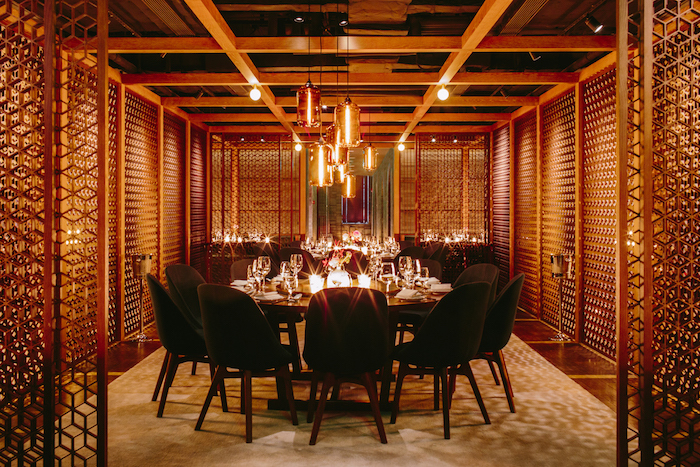 Guided by Urban Resort Concepts’ group-wide “Hostmanship” philosophy — the particulars of which include a complimentary minibar, breakfast-to-go and downloadable city guides — hospitality at The PuLi lends itself to often overlooked interactions. That necessarily puts it at odds with Shanghai’s newer hotels — the vast majority of which embrace the city’s penchant for glamour and excess — but it’s extremely telling that, since 2009 when it first opened, there has never been another hotel quite as committed to the “urban resort” concept as The PuLi. Outside of China, the term “Shanghainese cuisine” is often associated with restaurants of a somewhat fussy order — the kind where ostentatious service, Joyce Wang interiors and improbable pricing reign supreme. So when one considers bona fide hole-in-the-walls like Lanxin, that reputation feels slightly uncharitable, given that the best of Shanghainese food can be experienced from little more than a divey two-storey shopfront. 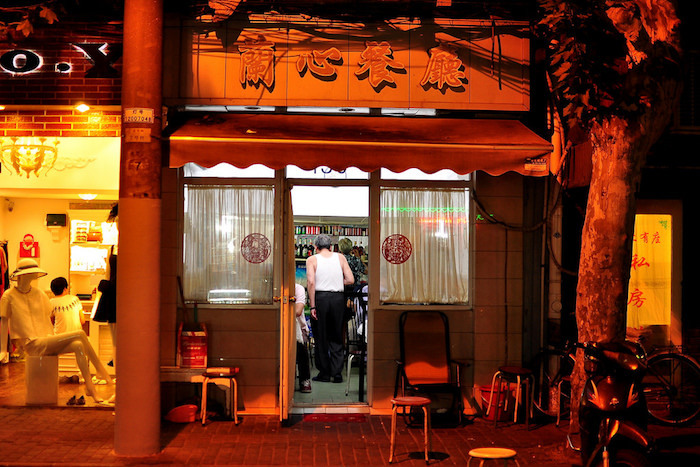 Although Jinxian Road is host to quite a few family-run eateries, Lanxin stands out for its seemingly unending stream of customers. (Apropos of these kinds of establishments, Lanxin has a strict “first come first served” policy and menus are presented almost entirely in Chinese.) Here, wistful diners queue for a taste of authentic Shanghainese home cookery — the kind which is rapidly disappearing from view. What is cooked inside its tiny residential kitchen is unceremonious and satisfying: from sweet and unctuous hongshao rou (livened with the surprise addition of green peppers) to yendu xian, a Jiangnan specialty made of cured and fresh varieties of pork, bamboo shoots and knots of tofu. Shingo Gokan’s upstairs venue at Sober Company, the amusingly named “Sober Society”, reaffirms the Japanese mixologist’s reputation for creative cocktails. There’s even a whole section of the menu dedicated to Zodiac-themed tipples: involving everything from a twisted whisky sour to negronis aged in leather. Making its auspicious debut at No. 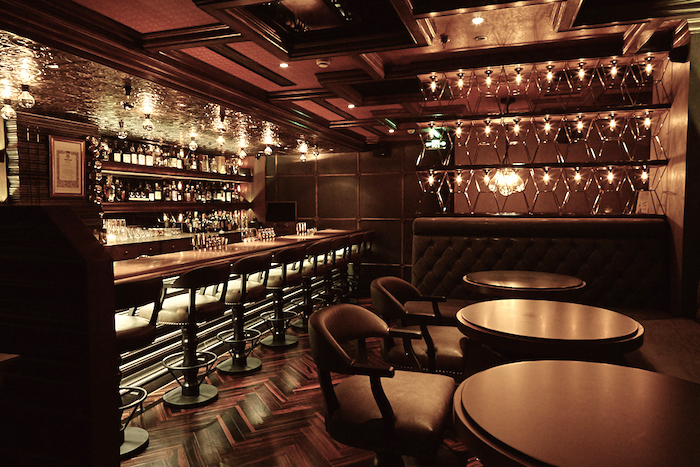 14 on Asia’s 50 Best Bars 2018, Sober Company is a welcome addition to legendary bartender Shingo Gokan’s signature collection of multi-concept venues. As with perennial Shanghai favourite Speak Low (the No. 20 bar in this year’s William Reed rankings), Shingo-san’s newest establishment packages a trio of experiences — each satisfying in its own right — under one roof. Every mini-venue within Sober Company has its own particular cross to bear: there’s beguiling small plates at Sober Cafe; excellent modern Chinese at Sober Kitchen; and an exhaustive selection of brown spirits at Sober Society. Although the latter is ostensibly Sober Company’s third (and final) venue, those familiar with Gokan’s penchant for surprises owe it to themselves to attempt all three areas of the joint — your persistence will be rewarded. While Jia Jia Tang Bao’s signature soup dumplings won’t win any beauty contests, the improbably well-constructed skins and depth of flavour (particularly when it comes to the crab roe varietal) have earned the store a diehard following amongst locals. In China, the subject of who makes the best xiaolongbao (i.e. 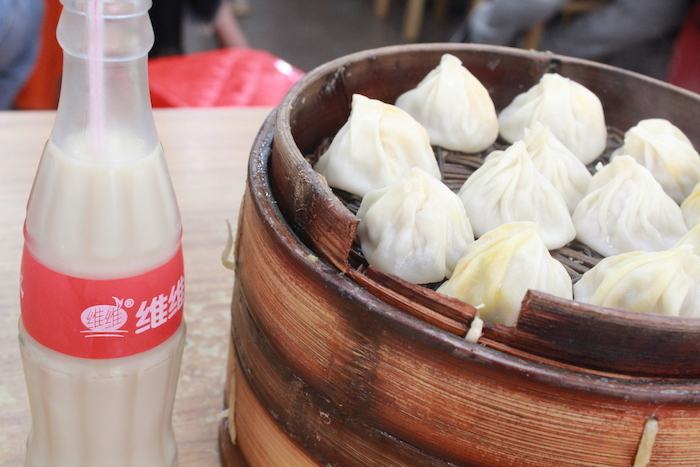 Shanghainese soup dumplings) is a controversial and hotly contested one. While international chains like Din Tai Fung have raised the profile of the humble soup dumpling abroad, many Shanghainese prefer the slightly more down-at-heel and local alternative that is Jia Jia Soup Dumpling. Located along a busy stretch of Huanghe Road that’s teeming with iconic street food (a branch of Yang’s Dumplings sits opposite), Jia Jia dispenses with any aesthetic pleasantries to focus on one thing — dumplings. Diners order from a tight edit of three xiaolongbao flavours (i.e. original, crab roe or egg yolk) before squeezing into a packed space that has all the ambience of a cafeteria. Thankfully, once your order arrives all of those concerns will be obliterated — forgotten in the face of expertly constructed richly flavoured soup dumplings. One of the more positive aspects of WeChat’s functionality is its ability to support the development of small businesses. Thanks to the medium’s integrated banking and marketing facilities, independent stores throughout China have been able to flourish in a way that would have been impossible a decade ago — stores like årgang. 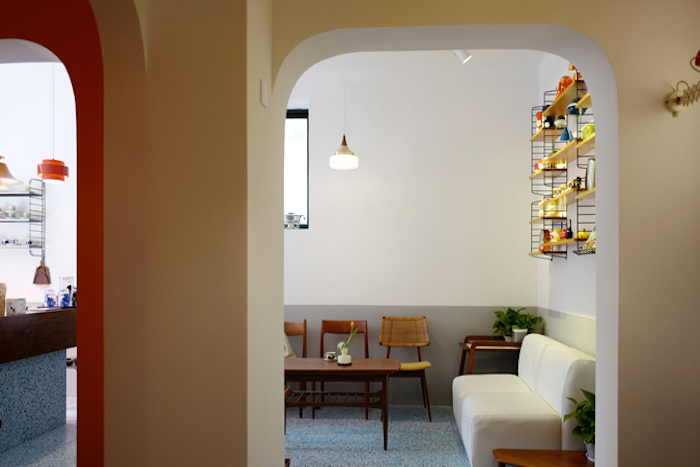 Operated by designer couple Annie and Ray, årgang is a reservation-only coffee house located inside a longdang, somewhere along a major thoroughfare inside the French Concession. It’s all very clandestine — PM årgang’s WeChat account and Annie will furnish you with directions and an exact address — but the payoff is huge. Inside this cosy and extremely well-appointed space, the smell of fresh coffee perfumes the air, held aloft by crisp jazz melodies that warble from Braun speakers (Ray sources much of the audio equipment here through his side gig as a DJ). Despite the Scandi design trappings, årgang is in many aspects the perfect way to experience a more relaxed version of Shanghai life — surrounded by the greenery of the French Concession with a freshly brewed coffee in hand. Canton Disco’s hyper-stylised aesthetic ensures it’ll fit nicely into the existent Black Sheep portfolio; but it’s Jowett Yu’s classically accented cooking that will prove key to long-term success. Though nominally capable of being described as a “Cantonese restaurant”, to refer to Canton Disco — Black Sheep Restaurants’ first foray outside of Hong Kong — as such would be a gross disservice. Located inside the newly minted Shanghai EDITION, the atmosphere here is every bit as energetic and opulent as the surrounding hotel. This restaurant pays tribute to the infamous Kowloon discotheque of the same name — Hong Kong’s quasi-answer to Studio 54 — with an uproarious 80s soundtrack and setting reminiscent of a banqueting hall hopped up on acid. But whereas the atmosphere is wonderfully ridiculous, Canton Disco’s cuisine — traditional Cantonese fare executed using premium produce — is precise and sophisticated. Those anticipating a menu full of gold leaf and truffles will be pleasantly surprised, as Executive Chef Jowett Yu (of Ho Lee Fookfame) opts instead for seasonal group-friendly cooking. Live Dungeness crabs are prepared using Cantonese cooking techniques — we heartily recommend having yours with steamed egg, aged wine and chicken oil — while universal favourites like char siu (made using Berkshire pork) are plated table-side on gilded trolleys. Bookings are essential, but in the event that you find yourself waiting for a table, the 40-seat lounge area is an excellent place to post up with any of the house’s artful updates on throwback beverages like the Harvey Wallbanger or Hemingway Daiquiri. 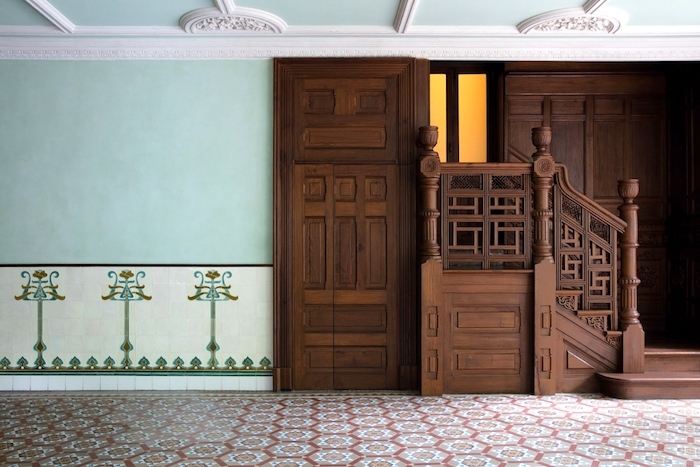 In 2011, the Shanghai municipal government authorised Prada to begin restoration works on the Rong Zhai villa – a process that took nearly seven years to reach completion. 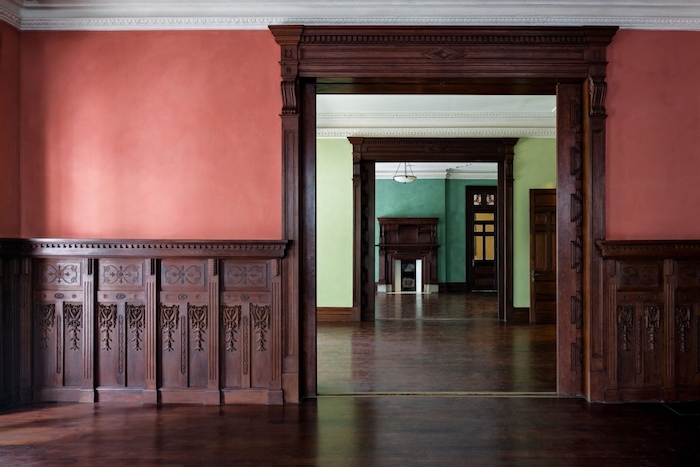 Formerly the family residence of Rong Zongjing, a Shanghainese flour tycoon who made his fortune in the Roaring Twenties, Rong Zhai now doubles as event and gallery space for a little known Italian brand called Prada. The luxury fashion house officially moved into the space in 2011, and (with blessings from the Shanghai municipal government) began restoring the structure to its early 20th century splendour. Internal and external spaces are a mishmash of Sino-European influences — the highlight being the villa’s neo-classical loggia — and Prada takes full advantage of Rong Zhai’s size to host a diverse array of year round events (most recently, the space was used as a pop-up for Prada’s Linea Rossa line). 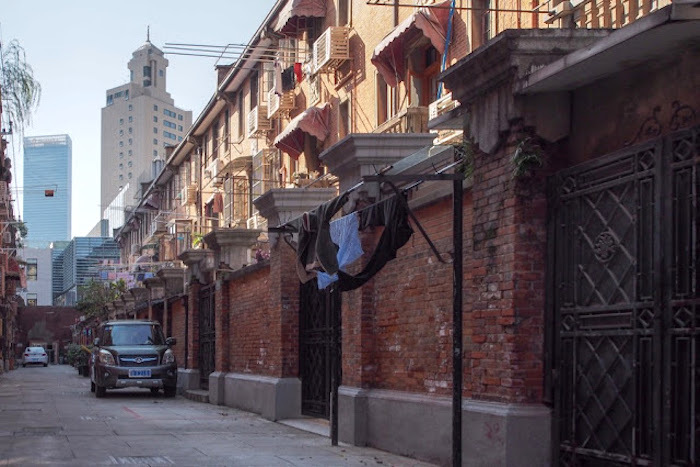 While Shanghai’s rapid and ongoing urban re-development continues to stimulate all kinds of economic growth, the more sinister cost of such “progress” is observable in the city’s dwindling number of longdang — traditional houses situated around a complex of lanes. While many of Shanghai’s lane house communities have been wholly destroyed (to make way for newer and shinier commercial blocks), Jingan Villa has more or less emerged unscathed. Conveniently accessible via Nanjing West Road, this residential community has at various stages throughout history housed wealthy colonial expats, communist labourers, and various born-and-raised Shanghainese who’ve maintained the same address for 40 years. You won’t encounter any of the symptoms of gentrification here — the fanciest store we could find was a CN$50 barber — but what Jingan Villa does offer in spades is a look at authentic shikumen architecture and a glimpse into the kind of neighbourhood that would have been de rigeur until the 90s. The Millfun’s labyrinthine network of flyovers and ramps was originally used to process cattle. Shanghai’s history of Art-Deco architecture is justifiably well known, but if a trip to the historic Peace Hotel or refurbished Paramount seems a bit too perfunctory, then Hongkou ought to provide you with a viable alternative. This district, located just north of The Bund, is home to “Old Millfun” — an eerie looking concrete monstrosity originally built as an abattoir. 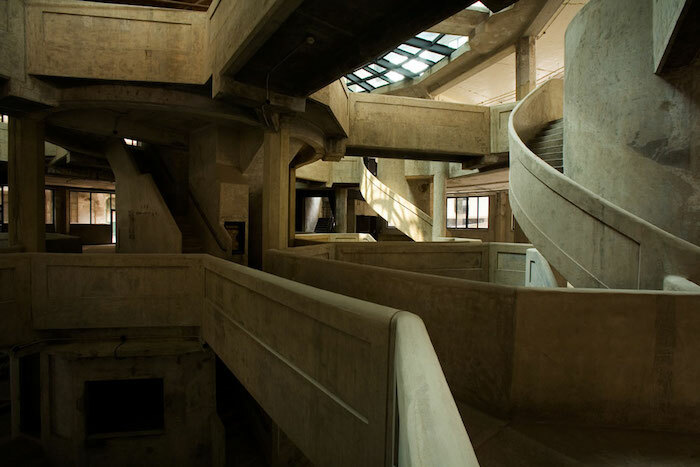 Completed in 1933, the building features an intricate network of lanes and flyovers — apparently used by workers to navigate herds of cows that were in the process of being ushered to slaughter. These days, the Old Millfun serves a slightly more benign purpose as a designated cultural space: in addition to the throngs of Instagram fashion brands that shoot content here, visitors are treated to an irreverent selection of retailers, encompassing everything from a crossfit gym to dog café. Various airlines operate over 34 daily flights from Hong Kong to Shanghai via Pudong (PVG) and Hongqiao (SHG) International Airport. For a full schedule and comparison of daily airfares, visit Zuji online.